Yes, it’s me again with another round of wood identification. This time two, 2 (I said two) different kinds of wood I need to identify. -- Chris, "all we are is sawdust in the dust collector""
Alder of course for both. Does #1 smell sweet when you cut it? 2? Probably an alder sub species. 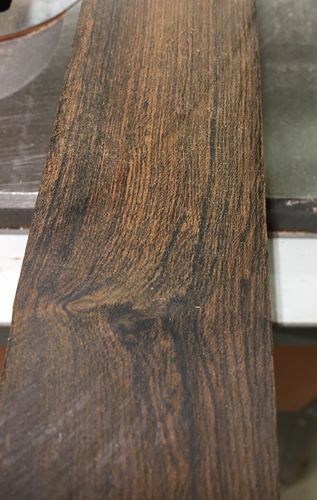 I can see wenge, I have some other that is wenge, but not so much yellowish grain. 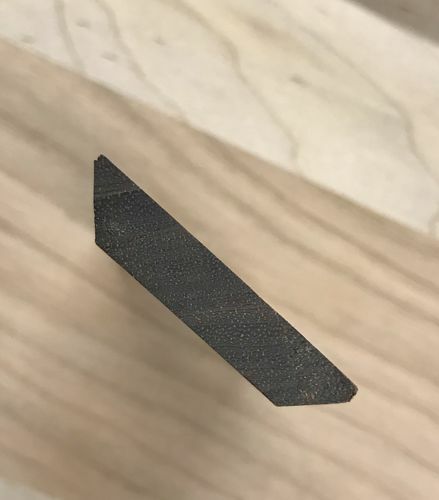 When I look it up though, it does match up with Wenge. Thank you. As for #2, I am fairly certain it is not bubinga. I have a lot of bubinga and none of it is as heavy or dark as this is. 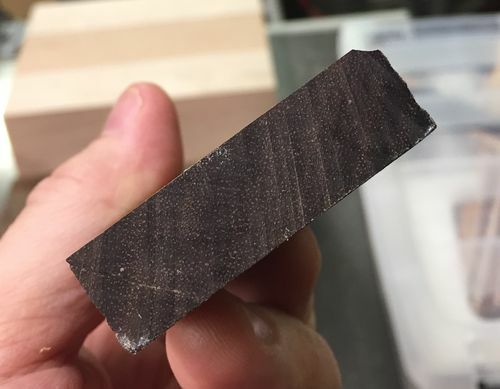 The first could be wenge but I have some in my stash somewhere that is chechen and it looks just like that piece as well. 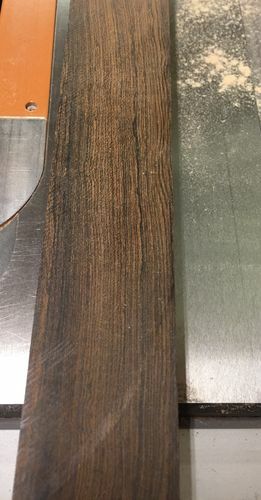 Okay, I am quite sure #1 is Bocote! Thank you!! as for #2, I do not think it’s purple heart. It is almost blue, it’s so dark. Beyond my experience. Where did you get it? 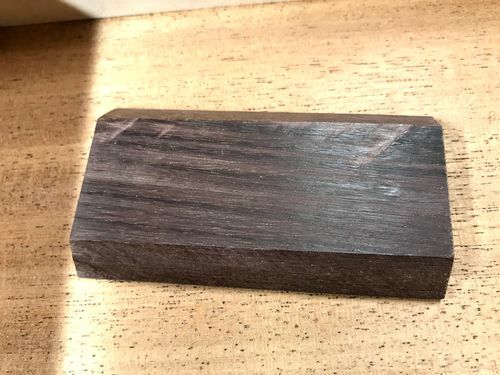 Could it be south american rosewood? as for #2, I do not think it s purple heart. It is almost blue, it s so dark. 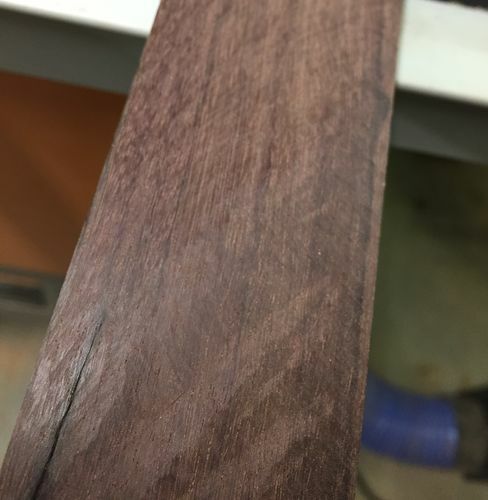 purpleheart isnt always purple. the color/shade can vary from tree to tree and also with exposure to uv rays.i have some thats now brown. #2 could be granadillo grenadilla one of those platymiscum spp species or something like that. 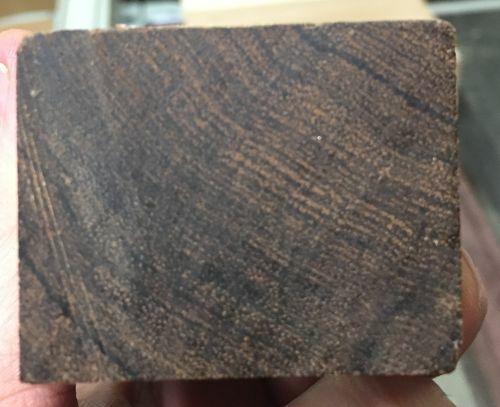 I have some that is a dark purple when cut and smells similar to rosewood. If it’s not that it’s dark alder. Okay, I won’t let this die. #1 is definitely Bocote. I have researched that well. #2 is still out. 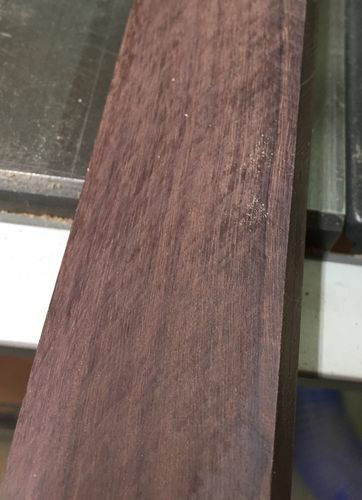 I am sure it is NOT purpleheart. Just doesn’t match anything else called purpleheart. again, it is VERY dense.